Oh my god! 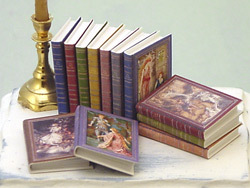 These fairy tale books were my absolute favourites when I was about seven years old. I used to get them out of the public library but could never find them for my own children. These are a must for my toy shop and went straight to your web site tonight to order the set. Thank you for bringing back such lovely memories.